Lambo – Responsive Shopify Single Product Theme is bold, modern sophisticated and puts your product front and centre. Lambo – Responsive Shopify Single Product Theme is bold, modern sophisticated and puts your product front and centre. 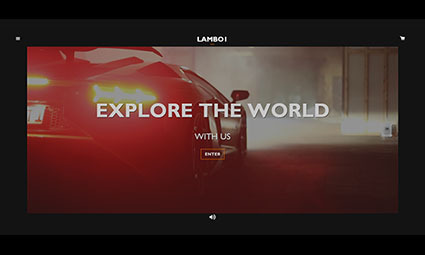 Lambo is a responsive Shopify theme that adjusts to look great on all screen resolutions, Lambo theme will make you get noticed. Boost your online store to the top online store using advanced and elegantly designed features which include video background, image poster, prominent navigation, multiple homepage collections, homepage promotional sections, dynamic product grid, clean typography, sidebar filtering, numerous colour and font customizations as well as easy integration with the Product Reviews app. Product Features – 2 product features sections.